Get up and go! That’s all it takes, right? Not so fast! 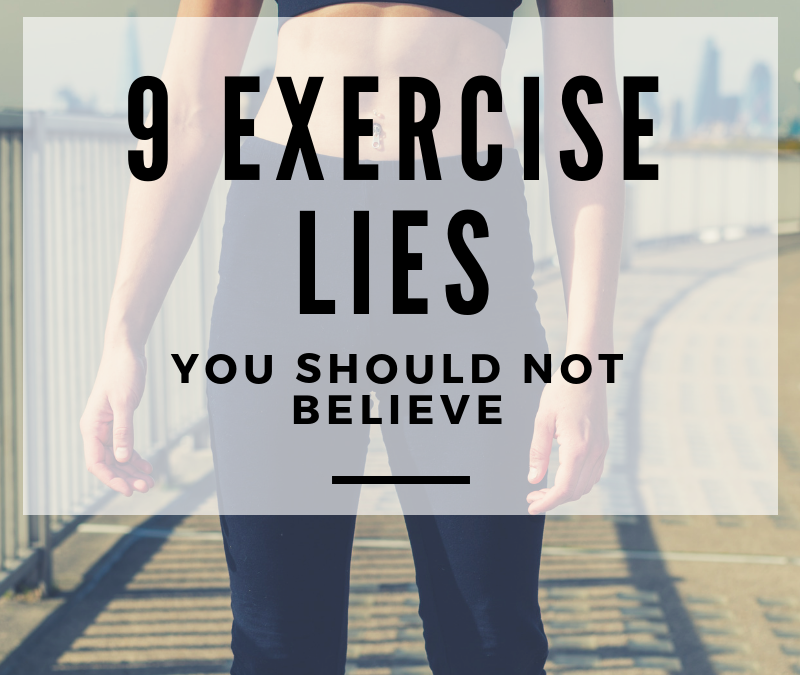 Many things that people think are true about exercise are actually wrong. Like anything else, if you don’t do it right, you are unlikely to get the results you expect. So let’s cut the fat and slim on down to the facts. Lie Number 1. You will always achieve your goals if you stick with your exercise program. Well, obviously, this depends on your goals and your program. Goals must be realistic and your exercise program must be designed with you in mind. Not everybody responds the same to the same exercise program. Given each of our genetics, it is likely that your personal gains in speed, power and endurance may be very different from that of other people you know. Lie Number 2. You can lose as much weight as you want just through exercise. Exercise is very important. But it will not do the job alone. As with all responses to exercise, weight gain or loss is dependent on many factors, including dietary intake and genetics. As discussed above, not everybody will lose the same amount of weight on the same exercise program. Believe it or not, it is possible to be active and still be overweight. You won’t believe how many black belts in karate I have known who were quick, strong and talented, but they just could not lose their beer bellies! Nevertheless, even though exercise by itself probably will not guarantee you reach your desired weight, regular physical activity is one of the most important variables in achieving a healthy and fit body. Lie Number 3. You will burn more fat with low intensity workouts. It’s a darn lie! The truth is that you will burn up more calories per minute the faster you move. The problem is that high-intensity exercise may be hard to maintain in the beginning, so most people are not able to exercise very long pushing so hard. Because of this, it is much safer and more practical to start out at a lower intensity and gradually work your way up. In general, the main benefit of low intensity exercise, other than as a starting point, is that it is less stressful on joints. However, the bottom line is that fat reduction depends on the total energy cost or how many calories are used up when exercising. Lie Number 4. With specific exercises anyone can build their arm muscles or get a six-pack. It’s just not true. What is true is that specific exercises will definitely tone and strengthen specific areas of your body. But if you have fat there you may not be able to see those strengthened muscles as they are covered with your fat! Not only that, but you cannot control where you will lose fat on your body through dieting or exercise. That is all genetic. That’s why being careful with what and how much you eat goes hand in hand with exercise. It’s a package deal. The good news is that research continues to show that any exercise is better than no exercise. For example, regular walking or even gardening for as little as an hour a week has been shown to help a person feel more energetic and reduce the risk of heart disease. Lie Number 5. People who are obese are not likely to benefit too much from exercise. That’s outright nonsense. Everybody benefits from exercise and everybody should consult with their doctor before beginning any workout program. Those who are very overweight probably need much more professional oversight and guidance so they do not try to do too much too quickly. But the truth is that research shows that obese people who participate in regular exercise programs have a lower risk of all-cause mortality than sedentary individuals, regardless of the fact that they are so overweight. Even a little bit of exercise is significantly better than no exercise. Lie Number 6. If your goal is to lose weight, forget about strength training since it’s going to bulk you up. Life is about balance. Your body needs cardiovascular exercise, such as aerobics or running, as well as strengthening, through push ups, planks or weight lifting. Strength workouts help increase muscle mass and decrease your body fat ratio. Everyone needs both. Lie Number 7. Yoga and Tai Chi may be enjoyable but the fitness benefits are still unsubstantiated. That may have been true years ago. But more recent research clearly illustrates that these exercise forms are quite beneficial in multiple ways. Some of these benefits include, improvements in coordination, flexibility, posture, balance, strength and stress management. Tai Chi has even been shown to help improve fibromyalgia and pain in the lower back. Lie Number 8. Exercise programs in water are mainly for seniors and the handicapped. Just because water fitness programs are primarily marketed to the handicapped and seniors, does not mean that they aren’t terrific alternatives for all of us. Water exercise offers many benefits, such as going easier on the joints, but don’t be fooled. These fitness programs can be just as challenging and successful for improving fitness and losing weight as any other. There are many athletes who incorporate water fitness programs into their workouts. Lie Number 9. The best way to get healthy and lose weight is by going to a gym. Poppycock! The best workout is one you are going to do! It has to be at least somewhat enjoyable, convenient, easily accessible and affordable. In fact, studies have shown that many people strongly prefer a home-based fitness program for all of these reasons! So ignore the hype about the latest fitness fads and trendy exercise equipment and facilities. Your best workout is what fits into your schedule, budget and needs. Do what works for you. But ya gotta do it! Tea is proven to burn fat, boost metabolism, and reduce stress. Drinking a cup of tea will surely be a great way to start the morning. If you aren’t a big fan of tea, then you may want to start off your day with a smoothie. Use high fiber vegetables, milk or water, and some fruits and you’ll feel good and have loads of energy. Tracking your heart rate while working out is important so you get the most out of all of your workout sessions. You get your maximum heart rate by subtracting your age by 220 and you find the minimum by multiplying that number by 0.7 By staying between these numbers while working out, you will see amazing results. There are many delicious and healthy substitutions for unhealthy junk food. For example, Wendy Williams told E! News that she drinks coconut water and kale chips instead of soda or potato chips. Cut out snacks high in sugar or sodium and go for high fiber and protein snacks. Many people feel more motivated to exercise if they have the appropriate clothes or gear to workout in. Treat yourself by buying some cute gear and we’re sure you’ll enjoy working out in them. By not eating carbs at night, you are doing yourself a huge favor. It means more fat burning hormones are being released while you sleep and it helps many overweight people lose almost half of their weight. According to a Japanese study, two tablespoons of Apple Cider Vinegar were enough to help obese participants noticably lose weight in just 8 weeks. You can even mix it with different ingredients to make it taste good. While counting your calories may not always work, reducing the amount of calories you intake can make a major difference. An average woman needs to eat around between 1,600 and 2,400 calories and an average man needs to to eat 2,000 to 3,000 calories to maintain weight. However this all depends on age, lifestyle, general health, height and weight. In order to lose weight, you can start by cutting off as much as 500-1,000 calories on a daily basis..
By increasing your protein intake, you can feel more full for a longer period of time and it can also help boost your metabolism. The best protein sources include meat, fish, beans, nuts, and eggs. Select a cardiovascular exercise you’ll enjoy doing over the course of 30 days. Doing cardiovascular exercises regularly is a great way to lose weight and increase metabolism rate in a healthy and efficient way. Along with all of the other tips, it’s important to not neglect your general health. By cutting down calories, make sure to not end up starving yourself or eating unhealthy foods that are low in calories. Make sure to get eight hours of sleep and take vitamins if you need them. If you notice any negative changes, be sure to see your doctor. Want some more information about how to lost weight the fast and healthy way? Check out the great infographic below! The insights are awesome, without too much information overload- and it’s easy to get started! As many people age, they tend to lose interest in taking care of their body physically. 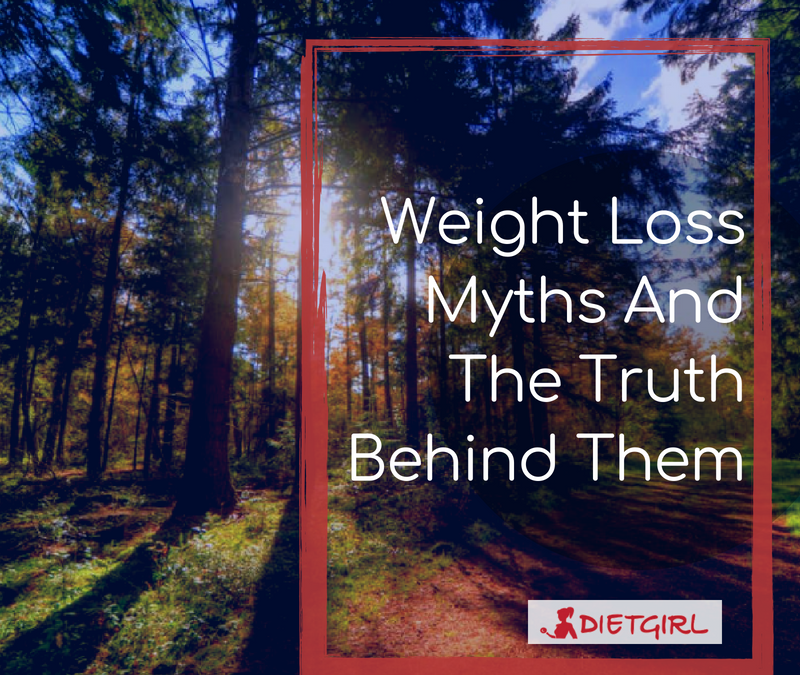 In some cases, many feel that they may be past their prime, and in other cases, they would blame their metabolism rate for being the reason why they gain weight. 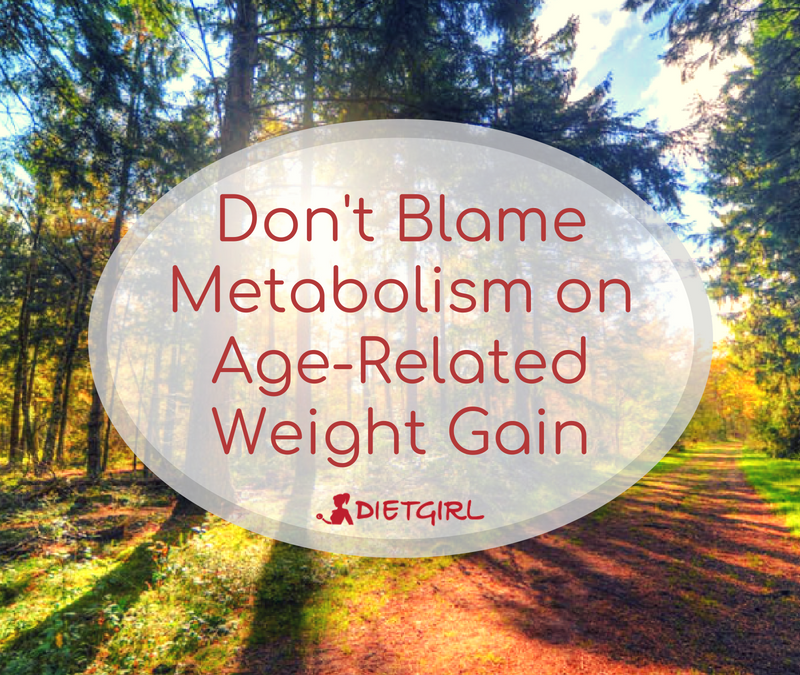 In reality, the weight gain that comes as people get older has very little to do with metabolism. Okay, we must say that yes- every year from age 30 onwards our metabolism rate does indeed begin to slow down, however, it slows down at a very minimal and almost unnoticeable rate. Instead, the weight gain that comes with older age has to do with the fact that as people get older, they tend to get less active. Even if you didn’t formally exercise as a kid or teen, you did surely go out more and be more active. You played with friends in the park, and took part in other physical activities such as dance or gymnastics routines. At the very least, you simply ran around more from store-to-store, or from school to your job. And those things pretty much tend to come to a halt once people become established in their careers and adult life in general. At first, the idea of gaining weight as a result of being less active at an older age may not seem so relieving. However, it actually is very alleviating because now you know that you can slowly work your way to start being active and do something to prevent age-related weight gain! The best calorie-burning and weight losing activity is simply to just get active. Making small changes in your daily life that you know will lead you to becoming a more active person overall can efficiently help you avoid gaining those extra pounds. For instance, by doing something as simple as taking the stairs more often, you may notice feeling more energized and motivated to being more active. Staying more active is also great for avoiding diseases like diabetes and heart disease that people commonly develop at an older age. In addition to being less active, as people get older they tend to not pay attention to what foods they eat and are more likely to eat unhealthy foods. We advise you to stick to multiple small portioned healthy meals throughout the day, and be mindful of what exactly you are eating. By staying active and eating healthy, you can definitely steer clear of age-related weight gain. A common misconception that many people tend to believe is that any form of carbs are terrible for you. Complex carbohydrates (rice, pasta, bread, etc.) are actually very important for providing energy. However like any other food group, portion sizes and what you eat the carbs with are important to control. Skipping meals is never a good idea. Not only will you end up gaining more weight, but people who skip meals, like breakfast, are more likely to develop heart diseases and mess up their metabolism rate. Any dietary pill or supplements that claim to have quick results are never long term solutions and can possibly end up being extremely dangerous! Most diet pills are not regulated by the FDA. Your body may react very badly to some of the ingredients and there are many negative side effects that come with it. Many people believe cutting off dairy or gluten is healthier. However, cutting off gluten and dairy also means losing out on calcium, protein, and carbs that your body needs. This can lead to serious long term effects. According to many dietitians, counting calories may actually be a complete waste of time. Firstly, you don’t actually know how many calories your body needs or ends up absorbing. Sometimes, many nutritional panels will not even have an accurate calorie count as the FDA allows up to a 20 percent margin of error. Instead of constantly counting your calorie intake, go for healthier food choices, and remember that moderation is key. 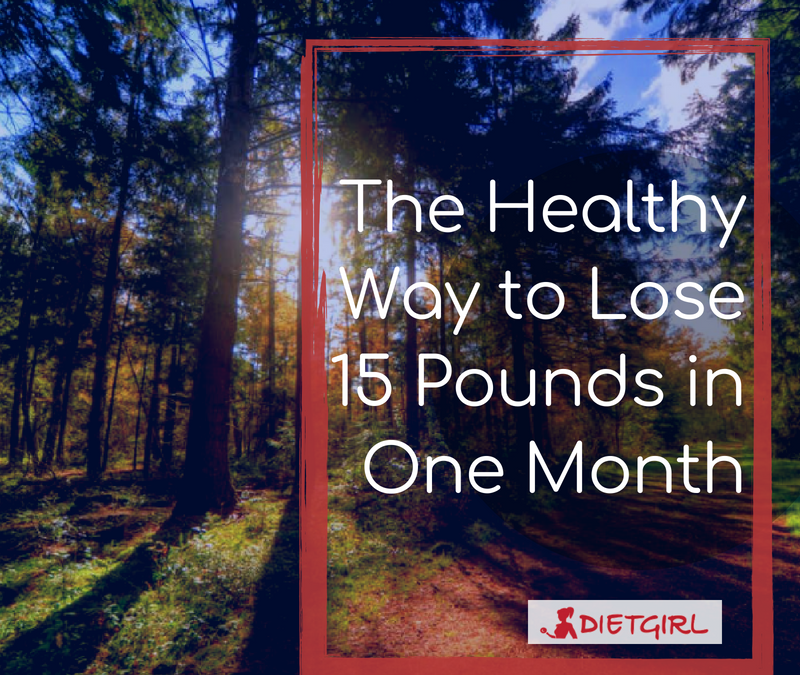 We all know that it’s one thing to lose the pounds, and another to actually keep them off. How many times have you lost weight, only to have it creep back up in less time than it took to lose it? It’s disheartening to say the least. Luckily, there are some simple ways you can ensure the weight stays off, in addition to your usual fitness routine. Water is the solution to many of our problems whether it has to do with our skin, weight, or even as a remedy for cramps and headaches. Drinking a cup of water a few minutes before a meal can help you watch what you eat and can prevent you from overeating. Increasing the amount of water you drink on a daily basis can also help increase metabolism and make you feel more rejuvenated. Having a daily routine is very important for many reasons. Instead of eating at various random times every day, it is much better to stick to a routine that your body can get accustomed to. Having a routine can also help lead to an overall healthier eating routine. The benefits of simply walking for a few minutes each day slowly adds up and helps you to stay fit. Instead of taking the elevator, take the stairs or walk to stores near you instead of taking your car. Little changes like these can affect you in the long run. You don’t have to give up the foods you love to lose weight. Instead just try to make your favorite foods healthier. For example, you won’t be missing out if you bake your own potato chips instead of buying fatty potato chips from the store. If it is possible, then eat at the table with other people. Researchers claim that by eating with others, people tend to be more conscious of what they eat and avoid overeating. A common misconception that many people have is that subtracting food from your diet is always an easy way to lose weight. Unless you are eating over thousands of calories than you should be, that is not true. Adding in those extra fruits, vegetables, or nuts can be very beneficial for your diet. According to dietitians, subtracting food from your diet almost never helps as much as adding food in. Losing weight takes effort and time. Don’t lose hope if it is taking a while. You will eventually reach your goal and the results will make it all worth it! But the most important thing to do after losing weight is to maintain it in a healthy manner. Here at Dietgirl, we’re all about offering realistic tips to help you achieve your fitness goal, while loving each step of it. When it comes to weight loss, rarely it is ever a delightful experience. But it doesn’t have to be all that bad. Much of it has to do with making small tweaks to your daily routine. 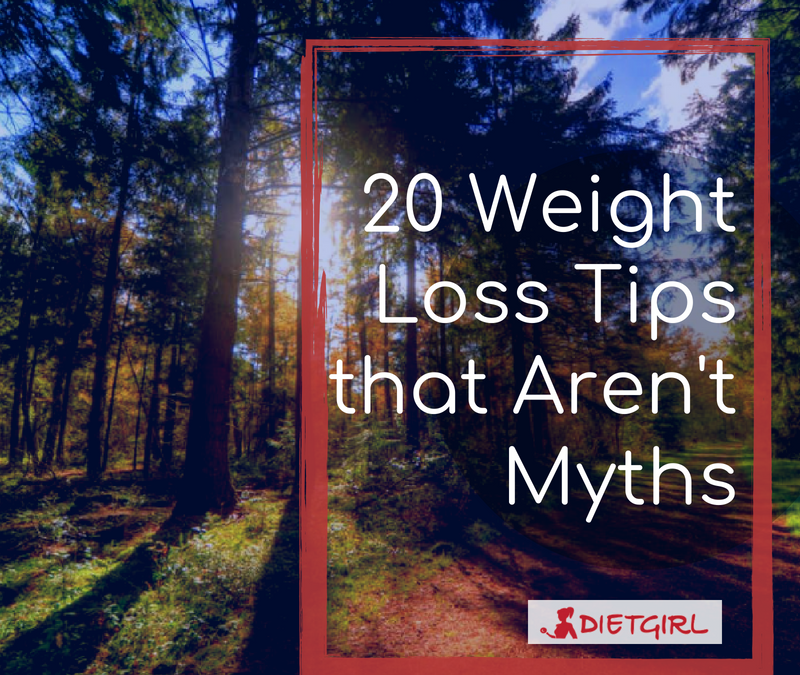 Here’s a quick compilation of 20 weight loss tips that are easily doable! Not only can weight lifting help build muscle, but it can also help to burn calories that can help you lose weight. Get ready to tone up and look super fit! The average human body is made up of 50-65% water. That is why the solution to many of our problems is to just drink more of it. Drinking water can boost your metabolism and drinking about two cups before a meal can help you eat less calories and even lose about 45% more weight. Interestingly enough, the best way to lose excess water weight is to simply drink more water. Although some carbs are great for you (in moderation,) studies show that refined carbs can actually lead to higher risks of many diseases. Refined carbs can also lead to feeling hungrier after a while and is directly linked with obesity. Believe it or not, eating from smaller plates can actually trick your mind into eating less calories. Easy there- don’t pile a tower of food on the plate! Artificially flavored beverages are usually filled with many grams of sugar and sometimes it goes over the limit of your daily sugar intake. That is why it is best to completely avoid such beverages. Not only would it help you lose weight but it would also help you keep you at bay from conditions such as diabetes and heart disease. Green tea is known for being very beneficial for multiple aspects. The most known benefit being weight loss. It contains antioxidants called catechins that helps to burn fat efficiently. And it also tastes quite nice- drink up! Coffee-drinkers, rejoice! Coffee can boost metabolism and helps to burn fat if there is no sugar or high calorie creamers added to it. Although coffee is usually scorned upon, it actually can help you through your weight loss journey! Eating whole foods regularly and incorporating them into your meals would not only be great for weight loss, but also for maintaining your weight. Replace unhealthy artificially-flavored food with the real food that your body deserves. This is an interesting little trick. By chewing slowly, your brain is led to believe it is eating more. It will sooner signal that you had a sufficient amount of food. So next time you’re hungry, don’t eat hastily, but instead take your time. We all know that sleep affects everything we do and it is very important to get enough of it. However many people don’t realize that in terms of losing weight, it is just as important as healthy eating and exercising. Sleeping for about 7-8 hours can lower your risk for obesity and help with your weight loss journey. When it comes to losing weight, having a high protein diet is crucial. Protein helps boost your metabolism and helps you feel satisfied for long periods of time. Studies show that by adding protein to your diet, people have had less obsessive thoughts of food by almost 60%. This is more of a psychological hack. By brushing your teeth right after dinner, you will be less tempted to have unhealthy snacks throughout the night. It’ll feel like a chore to have that midnight snack while your pearly whites are spotless. By eating eggs or any other source of protein for breakfast, you will be more likely eat fewer calories for the rest of the day. Cutting back on sugar is probably the most obvious step to take when starting your weight loss journey. To lose weight properly and in a healthy manner, cut back on foods that have added sugar in them. Don’t worry, it won’t take long to wean off of it. Capsaicin, which is a compound found in many peppers, can also boost metabolism. So next time you’re cooking something, feel free to add some spices and peppers to it for an extra kick of flavor plus health benefits. Doing aerobic exercises, or just cardio in general, is a wonderful way to lose fat around your stomach. It also helps give a renewed boost of confidence. This is the most fun part of fitness, especially once you get the hang of your routine. Eating more vegetables and fruits are super nutritious, contain few calories, and keep you full for a longer time. And you can’t deny the fact that fruits and veggies simply make meals in general look so much more enticing. Incorporating fiber into your diet is the best way to have control over your weight in the long term. Viscous fiber can even reduce your appetite and improve your overall health. Just bear in mind that it is best to only eat the suggested amount and to not go over that. We don’t live to eat, we eat to live. Therefore controlling your portions is very necessary to stay healthy and fit. One way to control your portions is by eating three balanced meals a day and having a few healthy snacks in between the meals. In order to not cease to unhealthy snacks when you’re and feel guilty about it later on, try keeping only healthy snacks around you. Examples of healthy and delicious snacks are edamame, dried fruits, nuts, yogurt, or boiled eggs. That way, you’re only keeping yourself limited to the good stuff. 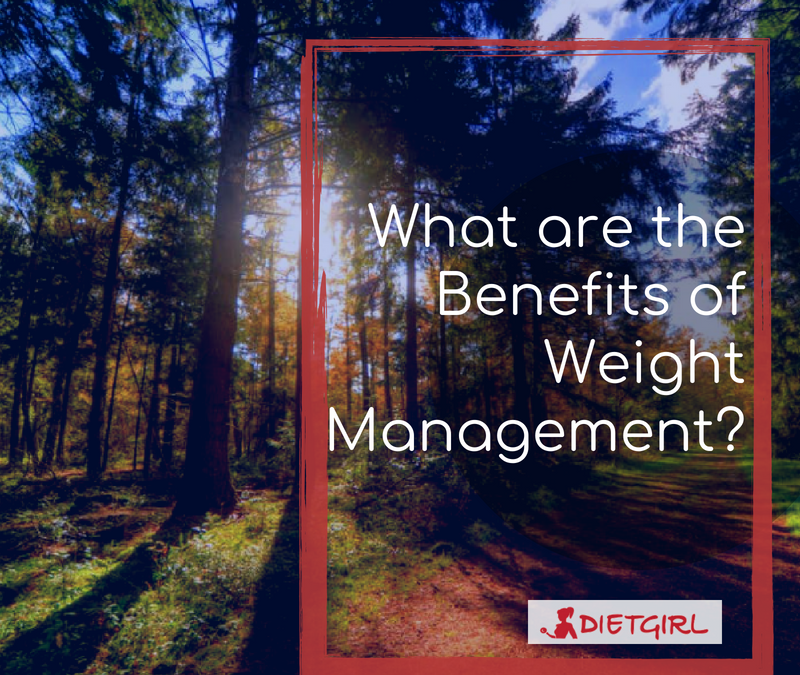 What are the Benefits of Weight Management? Weight management undeniably has many physical, psychological, and social benefits. While it may not be an easy journey for many, the results that stem from it make it worth the effort. As you can see above, one of the best things about weight management is that it’s merely a combination of simple lifestyle choices that we’re all already familiar with, such as getting a good night’s sleep (which ultimately plays a strong role in burning calories and increasing metabolism,) clean eating practices, and exercising. These will all lead to a better and healthier immune system. In Exercising while dieting also lowers your risk to many different types of cancers, reduces the risk of getting type 2 diabetes, and increases the good cholesterol in your body. And believe it or not- as you reach milestones in your journey and get accustomed to your plan, weight management becomes a stress-reliever. Another added bonus is clear skin. Who doesn’t want clear and radiant skin? By staying hydrated while maintaining a proper diet filled with nutritious fruits and vegetables, you can enjoy more glowing, youthful skin in addition to an increasingly fit body. Being active and having more energy also increases brain power which will give you that extra boost you need to make it through the demands of the day. Without a doubt, strictly following weight management techniques will improve your physique, which will play a strong role in giving you a greater sense of self confidence. In general, it goes without saying that having self confidence can help a person to feel good about themselves, leading them to feel more comfortable to socialize with others in any setting. If a person is comfortable with their own body, they will learn to not only respect their own body more, but to also be more mindful of others and the struggles they may be facing in their own respective weight management journeys. Although you may have started your weight loss journey only hoping to lose a couple of pounds, you will soon enough have many unexpected bonuses that will motivate you to manage your weight even more. Overall, managing your weight can tremendously help you to start living both a happy and healthy life! What are some unique and unconventional ways that weight management has helped you? Let us know in the comments below!